For business or pleasure, this high-quality and easy-to-use Full HD , 3.500 -lumen LED-Laser Installation projector works equally well at education environments or in the Meeting room . An Full HD, 3.500 Lumens DLP LED/Laser Installation Projector with a vast range of adjustment, and BrightEra for higher quality colour and a longer lifespan. Panasonic's new non-lamp projectors use a LED/Laser-combined light source for next-generation projection. Loaded with features for professional integration, the series expand projection capabilities in museums, digital signage and more. Panasonic's first lamp free projectors deliver an exciting new standard in professional reliability. 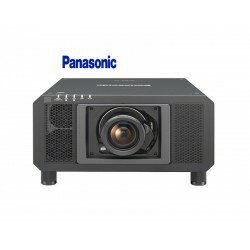 You can buy Panasonic PT-RZ470EAK online in Malaysia on www.projectorbiz.com, the best price and after sales services.